The Department of Labor released its final draft of their fiduciary rules mandating that financial advisors place their client’s best interests first when offering advice on their retirement accounts in 2016. Here is a post I wrote just before the release. DOL Fiduciary Rules – What Do They Mean For You? The rules were slated to be fully implementated on January 1, 2018, but the Trump administration’s opposition to these rules scuttled this. The current state of things in the financial advisory world is mixed, as some brokerage firms had gone partially down the path of implementation. At the end of the day, however, why should you as an investor care if your financial advisor is a fiduciary? Here are some thoughts on this for those looking for a financial advisor or who are already working with one. This is the definition of Fiduciary used by NAPFA (National Association of Personal Financial Advisors) the largest professional organization of fee-only financial advisors in the United States. Why should you care if your financial advisor is a fiduciary? The suitability rule provides that when a financial representative recommends to an investor the purchase, sale or exchange of any security, a financial representative shall have reasonable grounds for believing that the recommendation is suitable for such investor upon the basis of the facts, if any, disclosed by such investor as to his or her other security holdings and as to his or her financial situation and needs. This really doesn’t specify anything about loyalty to the client, disclosure or anything else. The word reasonable is quite vague at best. Not sure if your financial advisor is a fiduciary? Ask. Several years ago Charles Schwab ran an ad depicting a brokerage office pushing the stock of the day and used the phrase “…let’s put lipstick on this pig…” While humorous (and perhaps exaggerated) I fear that it did reflect the mentality of many product-pushing sales people calling themselves financial advisors. The worst part is that most of the investing public doesn’t really understand all of this. Many financial advisors who are subject to the suitability rules are competent and concerned with the welfare of their clients. They make recommendations that are in line with the best interests of their clients. Unfortunately, there are others who don’t and are not required to under the vagaries of the suitability rules. While the new fiduciary rules were largely scuttled, the investing public can and should look for advisors who act in their client’s best interests. Pay attention to any and all disclosures that you might receive from your financial advisor. Ask questions and don’t settle for half-baked answers. Ask your advisor outright if they are a fiduciary and if they act in their client’s best interests. Ask about any potential conflicts of interest they may have in rendering advice to you. Ask them about all sources of compensation from their relationship with you. It’s important that as a client you fully understand all of this. There is no one right or wrong answer, ultimately that is for you to decide as a client or prospective client. Approaching retirement and want another opinion on where you stand? Not sure if your investments are right for your situation? Concerned about stock market volatility? Check out my Financial Review/Second Opinion for Individuals service for detailed guidance and advice about your situation. NEW SERVICE – Financial Coaching. Check out this new service to see if it’s right for you. Financial coaching focuses on providing education and mentoring in two areas: the financial transition to retirement or small business financial coaching. Many investors do not understand how their financial advisor is compensated. With the initial implementation of the DOL Fiduciary Rules mandating that advisors put their client’s interests first when working with their retirement accounts upon us, the issue of financial advisor compensation will be front and center. It is important that all clients fully understand how their financial advisor is compensated and how much this relationship is truly costing them. Commissions: The advisor is compensated for the sale of investments, insurance, or other financial products. Compensation is paid by the firm that provides the financial product, usually a mutual fund or an insurance company. This may be in the form of an up-front charge, trailing (ongoing) fees or a combination of both. Other names for commissions include front-end loads (A share mutual funds are an example), 12b-1 fees that serve as trailing commissions on some mutual funds and commissions paid to advisors for the sale of insurance products. Fee-based: Typically the advisor will charge a fee for putting together a financial plan for you. If you chose to implement the recommendations in the plan, such as the purchase of insurance, an annuity, or investments, the implementation will typically be done via the sale of commissioned products. Fee-based has taken on a whole new significance in light of the new DOL fiduciary rules. Many firms have moved clients to fee-based or brokerage wrap accounts. The fee part arises from the wrap fee (typically a percentage of assets) charged to the client. Many of these accounts use mutual funds that throw off 12b-1 fees or other types of revenue sharing to the brokerage firm. Fee-only: The advisor charges a fee for the services rendered. This can be one-time or ongoing based upon the nature of your relationship and the services rendered. Fees may be hourly, flat or retainer based, or based upon a percentage of the assets under advisement. Why should you care how your advisor is paid? Because his/her compensation can impact the choice of the products recommended to you and your return from those products. An advisor who is paid via commissions will likely recommend those products that offer him a commission or sales load. Sales people generally sell what they are compensated to sell. Commissions can therefore result in a huge conflict of interest for your advisor. Does she suggest the very best and lowest cost products or does she suggest those products that pay her the highest commission? Fee-only advisors do not have this inherent conflict of interest because they are paid by the client, not the financial product provider. They are free to suggest the best investment vehicles and financial products for each client’s individual situation. Should compensation be the only metric used to select a financial advisor? Of course not, but the advisor’s compensation should be made crystal clear to you. When interviewing an advisor ask very direct questions. Ask them to detail ALL sources of compensation. These might include up-front commissions or sales loads; deferred or trailing commissions; surrender charges if you opt out of the mutual fund or annuity too early; a wrap fee on your overall investment account; or a myriad of other fees and charges in various combinations. This extends to fee-only advisors as well. Be sure to understand how much you will be paying for their advice and what types of investing costs you can expect to incur. While you will not be writing a check for any commissions or product-based fees, make no mistake you are paying the freight. Excessive commissions or expenses serve to directly reduce your return on investment. Once the new fiduciary rules go into effect, you may be asked to sign a form called a Best Interest Contract Exemption or BICE. The BICE form is used when the advisor seeks to use commissioned-based products, collect other types of revenue sharing or otherwise work with you in a fashion that is outside of the new fiduciary rules. Be sure to read this agreement carefully and to ask questions before signing it. NEW SERVICE – Financial Coaching. Check out this new service to see if its right for you. Financial coaching focuses on providing education and mentoring on the financial transition to retirement. The Department of Labor unveiled its final fiduciary rules in April of 2016. The Trump administration had pushed the implementation of the rules back from their originally scheduled implementation in April of this year. Labor Secretary Alexander Acosta recently affirmed that implementation will now commence on June 9, 2017, with a transition period for certain aspects of the rules extending until January 1, 2018. These rules will have a major impact on financial advisors who provide advice on retirement accounts like IRAs and 401(k)s.
Let’s look at the basics of the new rules and most importantly what they could mean for you as investors and clients of financial advisors. The rules mandate that advisors act as fiduciaries when dealing with client retirement assets. This means that they will need to provide advice in a fashion that is in their client’s best interests. For stock brokers, registered reps and any advisor who is compensated all or in part via commissions, this differs from the suitability standard that has been in place for the brokerage world. The suitability standard holds brokers to a much lower standard of care and says that the financial product must only be suitable for the client’s situation. The product does not have to be the best one for them in terms of cost or any other measure. Conflicts of interest are not an issue as I understand the suitability standard. Clients of brokerage firms and advisors who are paid by straight commission or a combination of fees and commissions have likely heard about these new rules from their brokers. Two major financial services firms have sold their brokerage units. Met Life sold its agent sales force to Mass Mutual. Additionally, AIG sold its brokerage unit earlier this year as well. Both companies cited the pending fiduciary rules and the cost of compliance as a major factor in their decisions to sell these business units. Many, including the Speaker of the House and financial guru Dave Ramsey, have cited the limited access to financial advice for middle income clients if these rules are enacted. Is conflicted financial advice better than no financial advice? Personally, I find these and other claims by the financial services industry about the limited access to advice to be at best disingenuous and at worst maddening. First, shouldn’t all financial advisors always put their client’s interests first? Do we really need governmental regulation to ensure this? Sadly, the answer is yes. 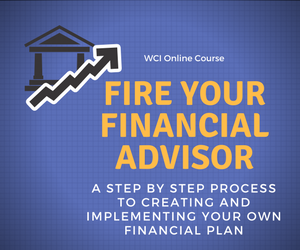 Additionally, there are many fee-only financial advisors who work with middle income clients and provide services on an hourly, as needed basis. Check out NAPFA and The Garret Planning Network among other sources to find a fee-only advisor who meets your needs. The new rules have prompted a number of changes in the brokerage world. Giant broker-dealer LPL financial has announced that it will end its direct mutual fund business in favor of their own internal mutual fund only account. They have also announced that they will be standardizing commissions paid to brokers to comply with some of the level fee provisions of the rules. Merrill Lynch, Edward Jones and others have also revamped the way they do business in terms of commissions in retirement accounts. I’m guessing that some brokers and advisors will take the added compliance costs as an excuse to raise fees, especially on smaller accounts. Will brokers use the DOL fiduciary rules as an excuse to raise client fees? A friend relayed a story to me about being invited to a client’s meeting at the local office of the brokerage firm where he has a couple of small accounts and being told that they can expect to see costs and fees increase due to the added compliance costs associated with these new rules. And none of my friend’s accounts were IRAs or any other sort of retirement account. A colleague shared a story regarding a call he had received from the client of an advisor with a major wire house firm who was informed that the fee for his brokerage wrap account was being increased by 65 percent due to the new fiduciary rules. I doubt the wire house’s costs are increasing anywhere near that amount, nor is it likely the increase can be justified based on better performance. Rather I think this is an attempt to gouge their client and profit from the public’s lack of awareness. A local small business owner recently asked my thoughts about finding a new home for their small 401(k) plan in light of changes being made by the brokerage firm they had been working with. A major aspect of the new rules will center on ensuring that advice given on retirement accounts is in the client’s best interests. The major area where I see this having an impact on individual investors will regard IRA accounts. The fees and expenses associated with the investments suggested will come under scrutiny. Annuities in IRA accounts with high internal costs and onerously long surrender charges will (hopefully) become a thing of the past in IRAs. Recommendations for products such as proprietary mutual funds with hefty trailers and high expense ratios will also hopefully become rare. Rollovers from 401(k) and other workplace retirement plans will need to be justified in terms of why this is a better option for the client than leaving their money in the retirement plan of a former employer or rolling it over a new employer’s plan (if applicable for the client). This will impact not only advisors working all or in part on commissions but also fee-only advisors as well. There will be an option for advisors to recommend financial products or options that may not be in the client’s best interests if they provide disclosure in the form or an agreement called the Best Interests Contract Exemption or BICE. The BICE will need to provide full disclosure as to how much money the advisor will make from this product or investing approach and will (as I understand it) need to be signed by the client. This could slow the growth of IRA assets for many brokers, registered reps and other advisors who make their money all or in part via commissions. Fee-only advisors who suggest that a client roll their 401(k) balance to an IRA leaving their employer could also be forced to have their client sign a BICE agreement as well if this move would result in higher costs for the client. One likely outgrowth of these new rules is a continued migration of the brokerage industry from advice based upon the sale of commissioned products to fee-based accounts. LPL Financial has lowered their account minimums and their fees for many of their fee-based accounts. They recognize that this is the trend in the industry and kudos to them for getting out in front of this. I know nothing about the quality of their asset-based accounts, but I applaud their effort none the less. The issue of reverse churning, where a broker or registered rep who previously relied on commission-based products moves a client to a fee-based account and then collects ongoing fees and provides little or no guidance, is likely to come into the forefront as this trend in the brokerage business continues. Long-time readers of this blog know that at best I have a healthy skepticism (to be kind) of the methods and motives of many advisors who make a living from the sale of commissioned financial products. I believe that, sadly, rules mandating that financial advisors act as fiduciaries in dealing with clients are a good thing and are needed. For you the clients and potential clients of these advisors I do believe these rules will ultimately be beneficial in terms of disclosure and improving the types of services and products available to you. It is also my belief that the fight against these rules is not over. The powerful and well-funded financial services lobby is dead set against these rules and we haven’t heard the last from them. They have supporters in the Trump administration and among the GOP leadership in Congress so stay tuned as they say. Are these proposed rules the best that could be done? No, but they are a good start. As always, I suspect the brokerage industry will find a way to work these rules to their advantage. They may use the excuse of higher costs to raise your fees or to weed out smaller clients. Has your broker or financial advisor contacted you about any changes in your fees or the way in which they will conducting business due to the new fiduciary rules? If so I’d love to hear about it. Please leave a comment or feel free to send me an email via the contact link that follows. Financial fraud is all over the news. Whether high-profile Ponzi Scheme cases via the likes of Madoff, Allen Stanford or many smaller cases, investors are being defrauded out of their hard-earned money at an alarming rate. I’d like to tell you that the problem emanates only from financial advisors who sell product, but sadly two former presidents of NAPFA, the country’s largest organization of fee-only advisors, have been implicated in fraud cases in recent years. If a financial advisor suggests that you don’t need to house your investments with a third-party custodian such as Schwab, Fidelity, your bank, Merrill Lynch, etc. I suggest that you run (don’t walk) away from any relationship with this person. This was one of the key tactics that Madoff used to perpetrate his fraud for so many years. He even sent his own client statements. While a third-party custodian is not fool-proof, you should insist upon this arrangement. Besides receiving an independently prepared statement, you can generally set-up online access. Read and review your account statements on a regular basis. Besides being a good practice, this is a must to catch both honest mistakes and potentially fraudulent transactions. Several years ago, an advisor allegedly took client funds from accounts at Schwab by forging their signatures. I’m sure that he was counting on the fact that many clients never review their account statements or check their accounts online. Don’t assume that you can trust an advisor just because he or she attends your church or you are in the same Rotary club. Affinity fraud is far too common. Many of Madoff’s victims were members of the Jewish community up and down the East Coast. I’m not saying to disqualify an advisor because they are a member of your church, but they should be put through the same level of scrutiny as any other advisor that you would consider. If an advisor is insistent that you invest NOW, be very leery. There is no investment that is that urgent. Investments should be made after careful planning to ensure that they are part of a strategy that is right for you. Don’t let yourself be pressured into doing anything with your money. High pressure often equals a scam. If you don’t understand an investment vehicle proposed by a financial advisor don’t allow your money to be invested there. Demand he or she explain the investment to you until you do understand it so that you can make a good decision. If you have elderly parents or relatives talk to them about investment scams as many are aimed at seniors. While this can be a touchy subject, it is an important one. Sadly, a high percentage of the financial fraud aimed at seniors is perpetrated by family members. Your help here may include protecting these people from other members of your own family. Overall make sure that if you work with a financial advisor that you stay engaged in the process of managing your money. While it is great to find a trusted advisor, make sure you continue to ask questions about the advice they are providing and why they feel a particular investment or course of action is right for your situation. Financial and investment fraud is rampant. The steps above can help but overall be diligent about your finances and the people you are trusting to provide you advice. Be especially leery of unsolicited calls urging you to invest in the next hot thing. If something sounds too good to be true it probably is. Approaching retirement and want another opinion on where you stand? Want an independent review of your investment portfolio? Need help getting on track? Check out my Financial Review/Second Opinion for Individuals service for more detailed advice about your situation. Several years ago finance blogger extraordinaire Barbara Friedberg wrote this guest post for Happy Simple Living entitled Financial Advisors Who Get Paid To Sell Products Bother Me. What she said in that post still resonates as true today as it did then. While there are many excellent financial advisors who are compensated all or in part via commissions, an advisor who is compensated from the sale of financial products has a built-in conflict of interest when providing clients with advice. With the introduction of the new Department of Labor Fiduciary rules, financial advisors will be required to put their client’s interests first when providing advice on their retirement accounts. Conflicts of interests must be disclosed. A financial advisor who already acts in a fiduciary capacity towards their clients likely has a leg up under these new rules. They already run their practice from the perspective of putting the interests of their clients above all else. As Barbara indicated in the title of her post, how an advisor is compensated is critical. In short, selecting the right financial advisor for you involves asking a lot of questions and understanding how they do business. Do they have experience working with clients whose situation is similar to yours? Are there conflicts of interest that will impact the quality of the advice they provide? What qualifications does the advisor have? How and how often will they communicate with you? If the prospective financial advisor can’t or won’t answer these and other questions to your satisfaction ask yourself if this is someone to whom you want entrust your financial future. This question came from a reader who is around 60, works for a major corporation and has retirement assets in neighborhood of $1 million. He indicated he is looking to either retire or be able to retire in the near future. His question was in response to my recent request for story ideas and I appreciate this suggestion. I will address this question largely from the perspective of this person’s situation as this is the type of client I am quite familiar with. Do I really need a financial advisor? Do I really need a financial advisor? The only answer of course is that it depends. There are many factors to consider. Let’s take a look at a few of them. How comfortable are you managing your own investments and financial planning issues? This is one of the main factors to consider. The reader raised the point that the typical fees for ongoing advice on a portfolio of his size would likely be $8,000-$10,000 per year and wondered if the fee is worth it. Certainly there is the issue of managing his portfolio. It sounds like he has a significant 401(k) plan balance. This will involve a decision whether to leave that money at his soon to be former employer or roll it to an IRA. Beyond this decision is the issue of managing his investments on an ongoing basis. And taking it a step further the fee level mentioned previously should include ongoing comprehensive financial planning advice not just investment advice. Since it is likely that his 401(k) contains company stock (based upon who he works for) he has the option of electing the Net Unrealized Appreciation (NUA) treatment of this stock as opposed to rolling the dollars over to an IRA. This is a tactic that can save a lot in taxes but is a bit complex. Can you be objective in making financial decisions? The value of having someone look at your finances with a detached third-party perspective is valuable. During the 2008-09 stock market down turn did you panic and sell some or all of your stock holdings at or near the bottom of the market? Perhaps a financial advisor could have talked you off of the ledge. I’ve seen many investors who could not take a loss on an investment and move on. They want to at least break-even. Sometimes taking a loss and redeploying that money elsewhere is the better decision for your portfolio. Can you sell your winners when needed and rebalance your portfolio back to your target allocation when needed? Do you enjoy managing your own investments and finances? This is important. If don’t enjoy doing this yourself will you spend the time needed not only to monitor your investments but also to stay current with the knowledge needed to do this effectively? In the case of this reader I suggested he consider whether this is something that he wanted to be doing in retirement. What happens if you die or become incapacitated? This is an issue for anyone. Often in this age bracket a client who is married may have a spouse who is not comfortable managing the family finances. If the client who is interested and capable in this area dies or becomes incapacitated who will help the spouse who is now thrust into this unwanted role? Certainly if you are comfortable (and capable) of being your own financial advisor at retirement or any stage of life you should do it. This is not an irreversible decision nor is there anything that says you can’t get help as needed. For example you might hire a financial planner to help you do a financial plan and an overall review of your situation. You might then do most of the day to day work and engage their services for a periodic review. 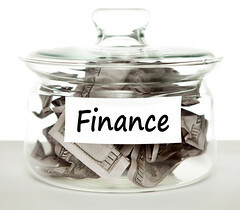 There are also financial planners who work on an hourly as needed basis for specific issues. Whatever decision that you do make, try to be as objective as possible. Have you done a good job with this in the past? Will the benefits of the advice outweigh the fees involved? Are you capable of doing this? Regular readers here know that the inspiration for some of my blog posts comes from non-financial sources such as youth soccer fields and the Rolling Stones. In that spirit the idea for this post popped into my head while waiting in line to pay for an item at a local gas station. I noticed the clerk behind the counter restocking the very prominent display case with mini bottles of liquor of the type you would buy on an airplane. When I asked if they sell a lot of these she indicated that I would be surprised and I was. 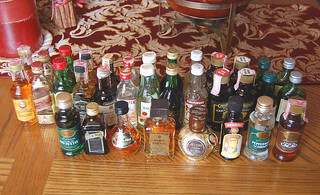 This is the last place that I would think of buying mini bottles of liquor. My hope is that the contents are not being consumed en route from the gas station. I liken this to some of the places that people seek financial advice. Are you getting financial advice from someone best positioned to advise you or simply from where it is convenient to obtain it? Here are a few thoughts on some of the alternative sources available to you when seeking financial advice. We have had our auto, homeowner’s, and person umbrella policies with an agent affiliated with a major insurance company for years. Our agent is great and has provided outstanding service. His company made a big push into providing personal financial planning largely to tap into their vast customer base to try to sell various financial products to these customers. When I asked my agent if he was now going to become a financial planner he just kind of grumbled as he wanted no part of this. My experience is that insurance companies are looking to sell annuities and other insurance-based products as their answer to your financial and retirement planning needs. Many of these companies also offer their own proprietary families of mutual funds and other investment vehicles. As with anything you need to understand the motivations and capabilities of the person trying to sell these products to you. Is this agent qualified to provide you with unbiased financial advice or do all questions lead to a solution that involves the sale of a variable annuity or a related product? Many banks offer investment and financial advice across a number of formats. It’s not uncommon to have a registered rep at the branch selling various financial products. The bank may even have their own line of mutual funds and their own brokerage operation. Other banks have in-house or affiliated investment advisory operations which offer investment and perhaps wealth management services for a fee as opposed to the commission-based services mentioned above. Again banks view this as a way to expand their service offerings and broaden their revenue streams by tapping into their depositor base. As with any financial services provider you need to understand what your bank offers, how they offer it, any potential conflicts of interest, and most of all if this type of arrangement is right for you. CPAs have rightly earned a reputation as a trusted advisor, especially for business owners. The good ones offer a range of tax and financial advice that is invaluable. 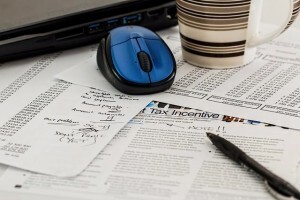 Many CPAs have ventured into the business of offering investment and financial advice as well. They realize that this is an excellent revenue stream, often a better one than they can generate via their core business. Does the CPA have specific knowledge or training here? A designation such as the CFP® or the PFS (the CPA equivalent) can be good evidence of training and commitment to this area. What happens during tax season? Are they available to answer your questions and monitor your situation? Is the advice offered as an RIA (Registered Investment Advisor) or via a Broker-Dealer type arrangement? In the latter case the CPA is likely engaging in advice via the sale of commissioned financial and insurance products. The term financial planner can be used by anyone so you will want to understand a few things about how any financial planner operates before determining if this is the right advisor for you. What are the financial planner’s credentials and training? Does he/she hold a CFP® or some similar designation? How is the financial planner compensated? Fee-only? Commissions? A combination of fees and commissions? It is important for you to understand if there will be any conflicts of interest involved in the delivery of financial advice. What type of financial advice does the financial planner offer? Hourly as needed? Comprehensive financial planning? Investment advice and wealth management? More importantly is this the type of advice that you need? Who are the financial planner’s typical clients? If you are 60 and nearing retirement an advisor who specializes in clients in their 20s and 30s is probably not the right advisor for you. Check out NAPFA’s guide to finding an advisor for some tips on choosing the right financial advisor for you. I’m often puzzled by the process used by many folks in choosing a financial advisor, but I guess it is no stranger than buying mini bottles of liquor at a gas station. Choosing the right financial advisor can be very rewarding, choosing the wrong advisor can have a devastating impact on your financial life. The Chicago Financial Planner is a participant in the Amazon Services LLC Associates Program, an affiliate advertising program designed to provide a means for sites to earn advertising fees by advertising and linking to Amazon.com. If you click on my Amazon.com links and buy anything, even something other than the product advertised, I earn a small fee, yet you don’t pay any extra. For those of you who are regular readers here you know that I publish list posts very infrequently, so two in a row is a real rarity. However both the nature of the list below and the fact that I am in and out of the office about equally this week convinced me to go this route. BrightScope, a leading provider of independent financial information and research, just released their first Social Influence Rankings for Financial Advisors. While I was astonished to be number three on this list, I am flattered to be included on a list that includes a number of people whom I admire and learn from. This list includes Jim Blankenship, George Papadopoulos, and Russ Thornton who I’ve followed from the onset of my involvement in social media. Josh Brown, Carolyn McClanahan, Neal Frankle, Jeff Rose, Jason Hull, Jude Boudreaux, Alan Moore, Sheri Cupo, and Tom Brakke are others who I follow on a regular basis. I plan to become familiar with the rest of this list and learn from them as well. If you are looking for good information about investing, financial planning, retirement, and related financial topics this list is for you. To view the complete list of the Top 100 Social Influencers in the United States, visit the BrightScope Blog.